Reginald Knight poses for a photo Thursday, December 20, 2018 at Chili's in Chattanooga, Tennessee. Knight was one of several individuals helped by the Neediest Cases Fund. Edward Odom grew up playing basketball against his half-brother in the Avondale neighborhood bordering downtown Chattanooga. He and Reginald Knight, both now 60, battled each other from the first time they saw a basketball court as preschoolers through middle school and then high school as part of the famed Riverside High School Trojans' program. The two went separate ways after high school but still get together multiple times each week at the Waffle House on Brainerd Road. Odom, who has worked for the city of Chattanooga as a director of the Glenwood Recreation Center for 22 years, is not surprised Knight received help from the Chattanooga Times Free Press Neediest Cases Fund. "He has helped so many people along the way, and sometimes he tried too hard," Odom said. "I'd tell him that not everyone wanted help, but he kept trying. It is just right that he got some help when he needed it." Knight carries himself as the Army veteran that he is as he talks about the $378 he received from the Neediest Cases Fund this August. He walks like a soldier in formation, despite having had both of his hips replaced in the past seven years. And his broad chest reflects someone familiar with a weight room. "I try to stay young, but I have to admit there are a lot of aches and pains," said Knight, a father of five and grandfather of seven. Four Knight's children live in the Washington, D.C./northern Virginia area, and he was heading back to Chattanooga in August when he was unable to make his flight. Circumstances with the airline left Knight little choice but to use his last $500 to book a new flight. Upon returning home, Knight was unable to cover his monthly expenses. The discipline learned in the military and years as a surgical technician preparing surgery instrument trays caused Knight to seek an immediate solution to paying his bills on time. Through word of mouth, Knight found his way to Ruth Votara and Family Promise, which provided $378 to Knight in a one-time donation from the Neediest Cases Fund. The remaining $100 came from a local Veterans of Foreign Affairs organization. "He has such a kind soul," Votara said. "Everyone we help is appreciative, but he was especially appreciative. You treat people the right way, the way you want to be treated, and people respond. If my mother ever caught me mistreating someone, she would smack me." "I was treated with great respect," Knight said. "I want to find a way to volunteer with them or other groups to help. Everybody has bills to pay, and I wanted to take care of things myself." Knight enlisted in the Army in 1980 and was assigned to the now-closed Walter Reed Medical Center in Maryland. He was trained as a surgical technician and was transferred to Germany, where he worked at the U.S. Army Drug Testing Lab in Wiesbaden. He also was a well-regarded player on the unit's basketball team. "The military taught me a whole lot," Knight said. "I learned discipline that I needed, and it made all of us learn how to believe in ourselves. We also played some good basketball." After receiving his honorable discharge due to medical reasons in 1983, Knight returned to the Washington, D.C., area where he worked for several hospitals. He returned to Chattanooga in 1999 and worked at both Erlanger and Memorial hospitals. But Knight reached a point where he physically could not maintain a full-time job, he managed with temporary work and early Social Security. 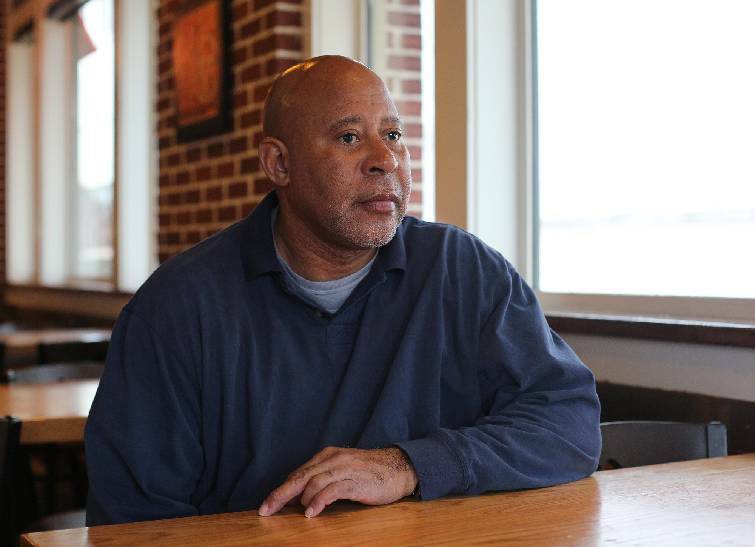 Until a few years ago, Knight did not realize that he could apply for veteran benefits while receiving small Social Security payments, and he has now applied and is awaiting approval. The veteran benefits will "be an unbelievable blessing" that will provide unexpected breathing room for a person who managed his income down to the penny each month. "God is so great," he said. "I am hoping to be able to get back to working in surgery." In the meantime, Odom and Knight continue to debate who was the better basketball player and who won the most in their personal, one-on-one battle on the playground. "He can still shoot the lights out, but I can handle him," Knight said of Odom. "I'd whip him like a little brother," Odom retorted. Contributions to the fund will continue through December, and you can donate using the coupon accompanying this story or online at timesfreepress.com/neediestcases. The fund had raised $18,204.18 through this past Friday. In addition, at the website you can read about fund cases from this year and 2017.